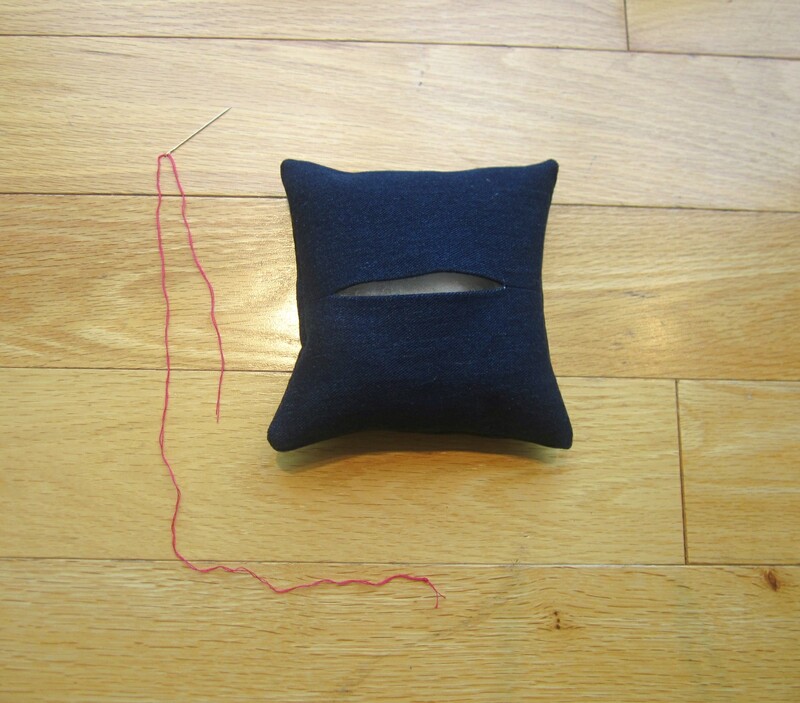 This tutorial is a supplement my animal head sewing pattern instructions! 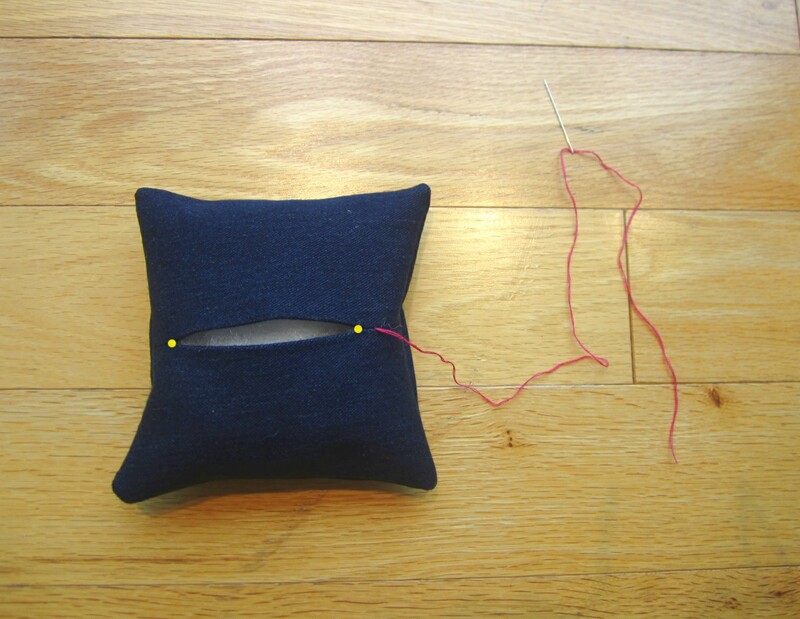 The ladder stitch, aka the slip stitch, is a fairly common hand sewing stitch used to close an open seam on stuffed animals, and other three-dimensional soft toys where machine sewing would be unmanageable. 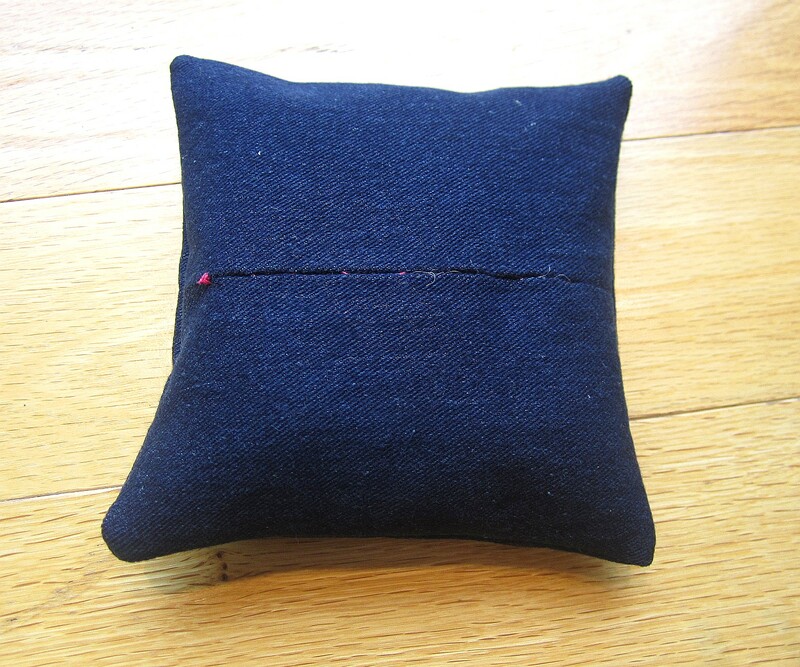 I’m going to use a handmade pin cushion as my sample. 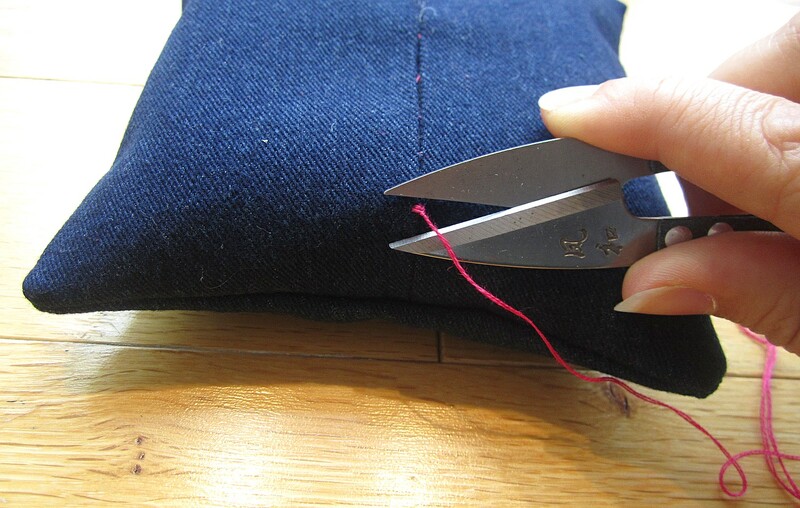 Cut your thread so that it is no longer than 16” (it’s way more likely to tangle if it’s longer than 16”). 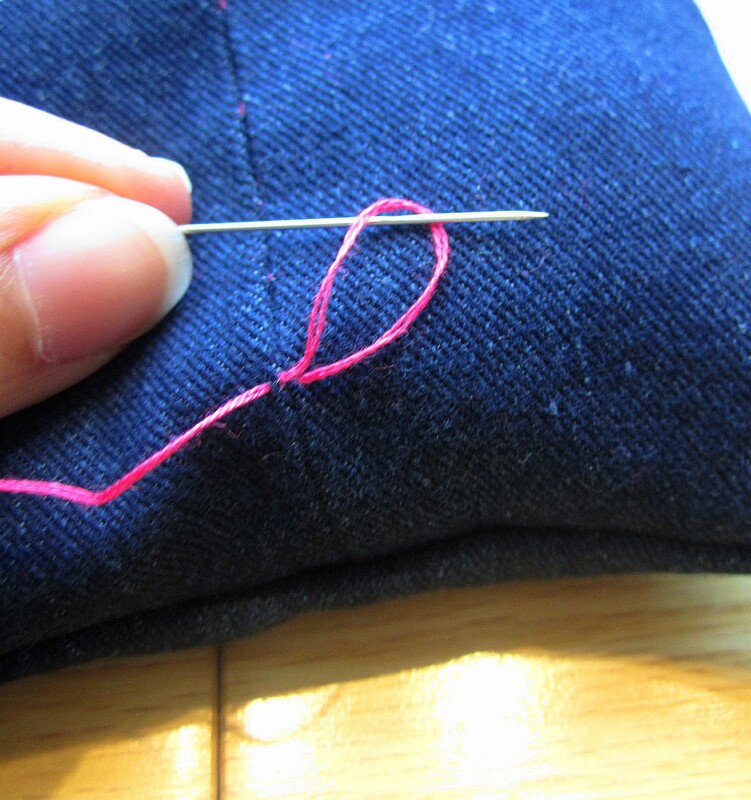 Thread your needle and tie a thick knot in the end. 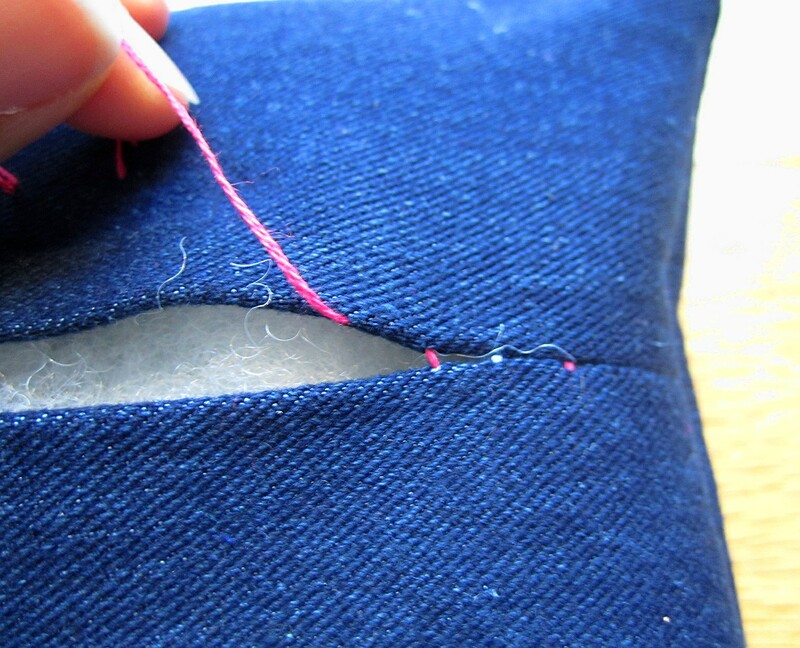 Insert needle through the folded inside edge of the seam, about 1/2” away from the opening. Pull the thread all the way through until the knotted end stops the thread. The yellow dots in the following picture indicate where the open seam begins and ends. 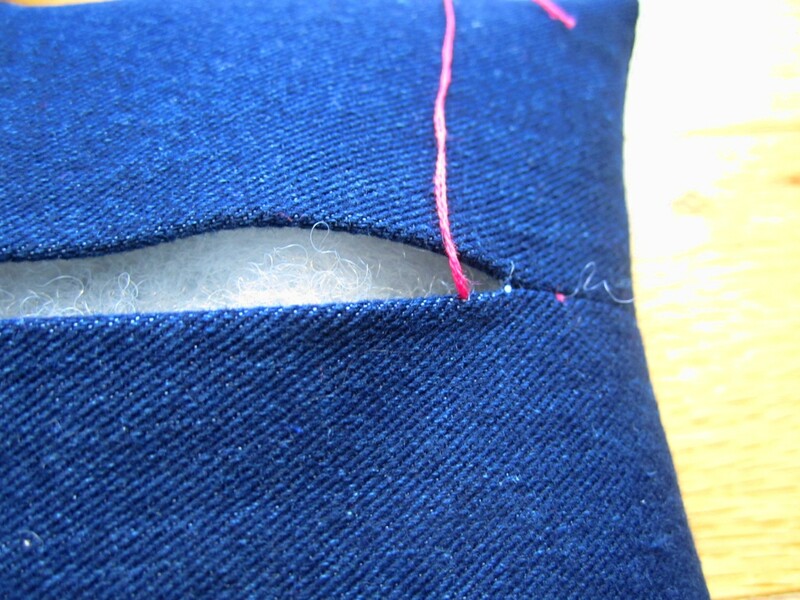 Cross to the other side of the seam and slide the needle through the creased edge. 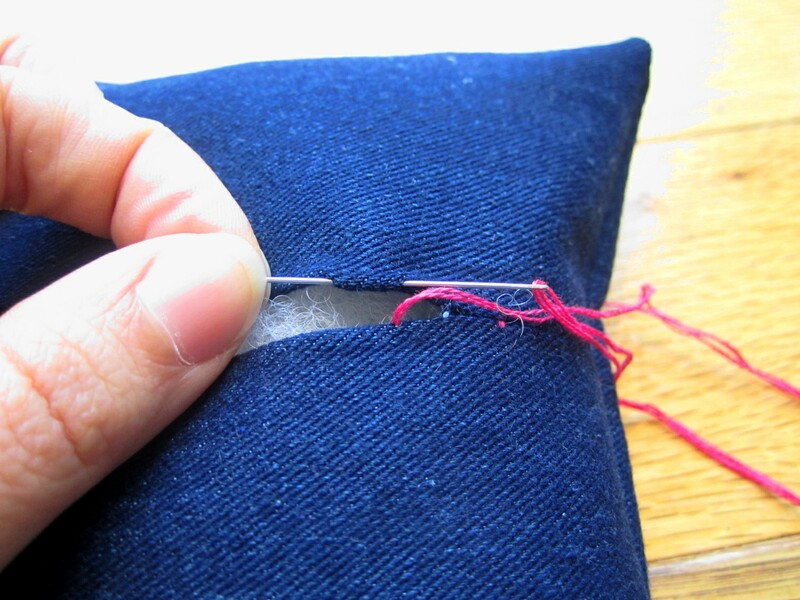 Make your stitches relatively small, less than 1/2” long, so that your stuffing doesn’t poke through! Pull thread all the way through. 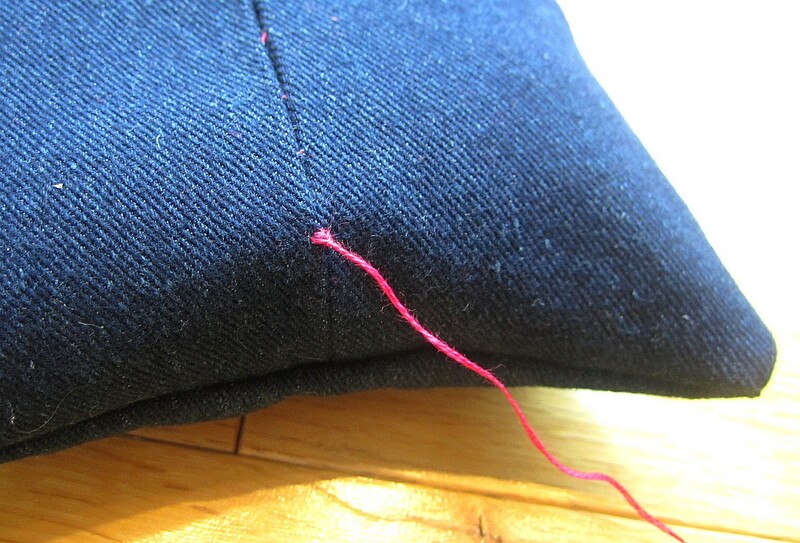 Cross back over to the opposite seam, and slide the needle through the creased edge again! Pull thread all the way through again. 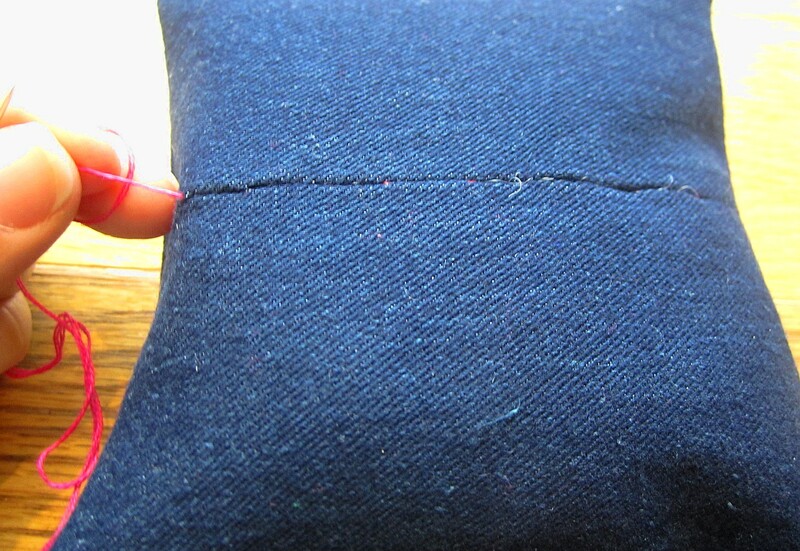 That’s right, cross over to the other side of the seam, and slide the needle through the creased edge yet again. 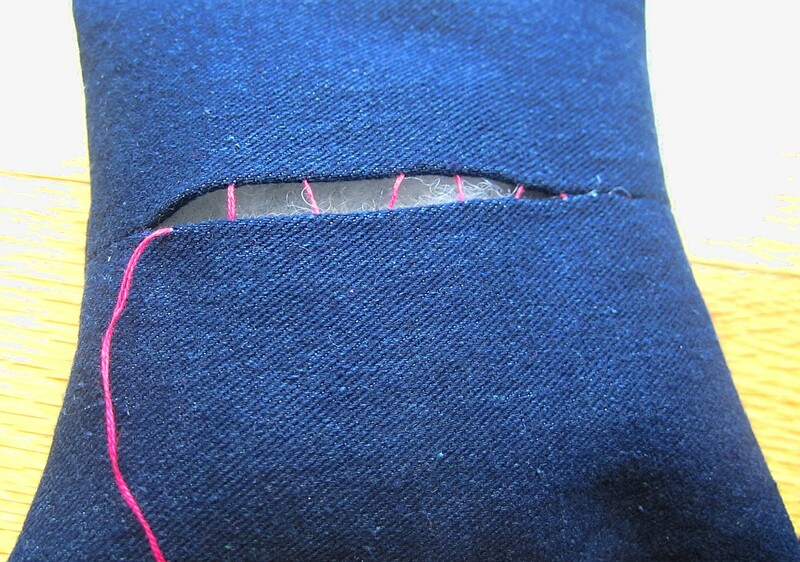 Keep taking stitches like this until you get to the end of the open seam. 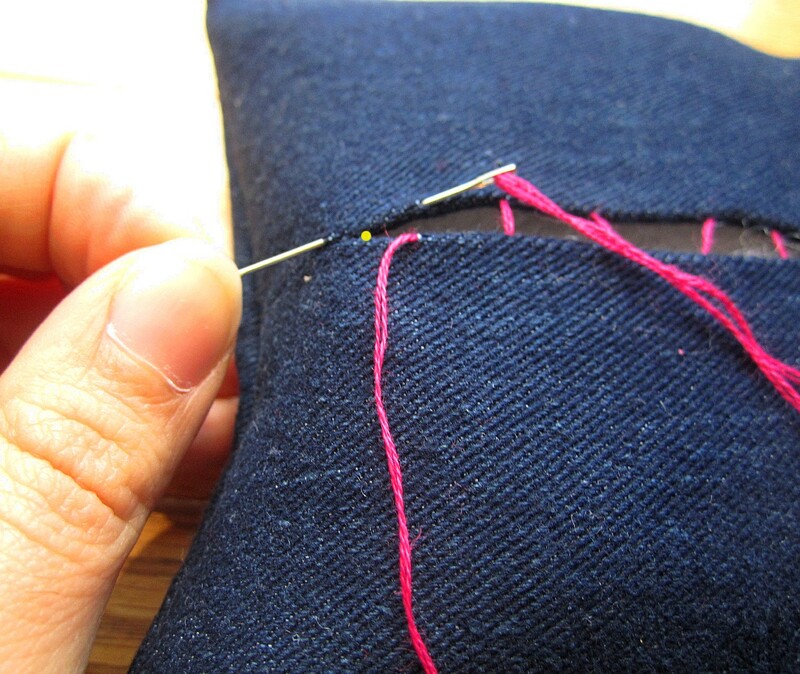 Slide your needle into the opposite side of the seam one more time, through the creased edge, so that the needle comes out just beyond the open seam. 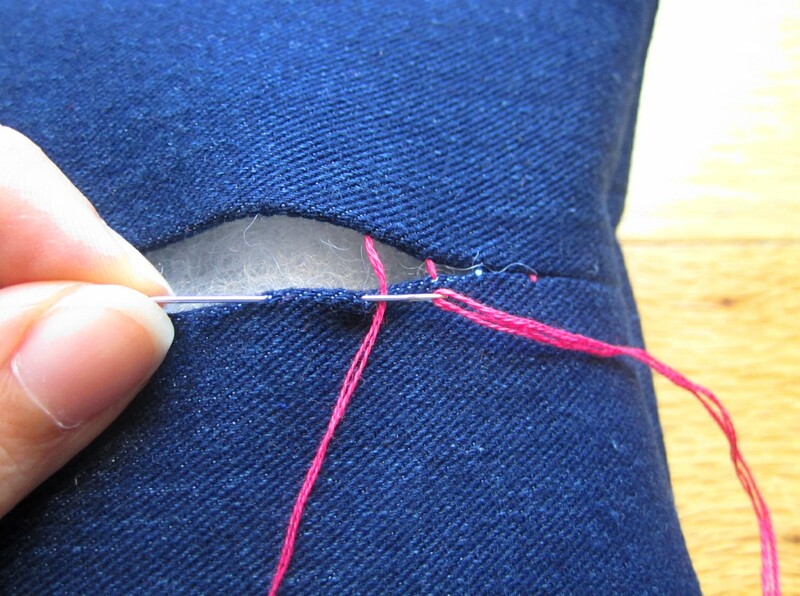 Pull your thread to tighten up the seam. 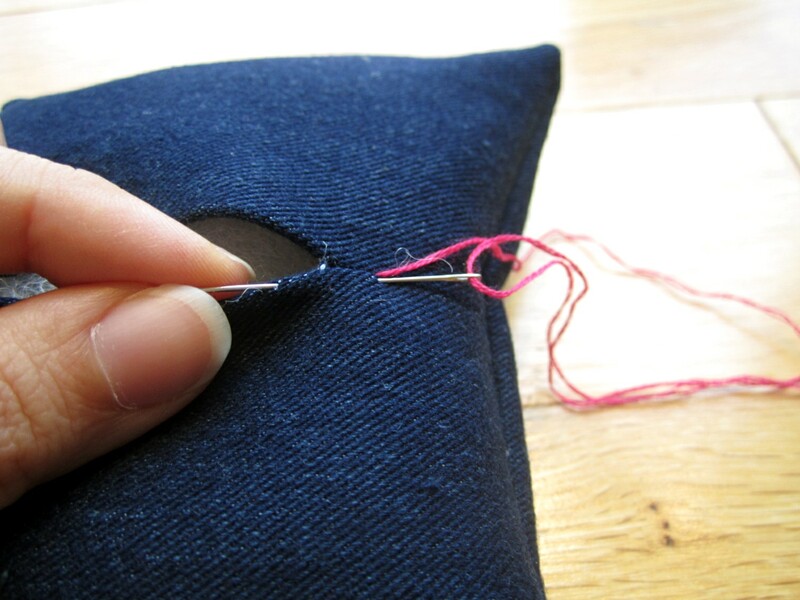 Pinching the two sides together, take a tiny stitch across both sides. 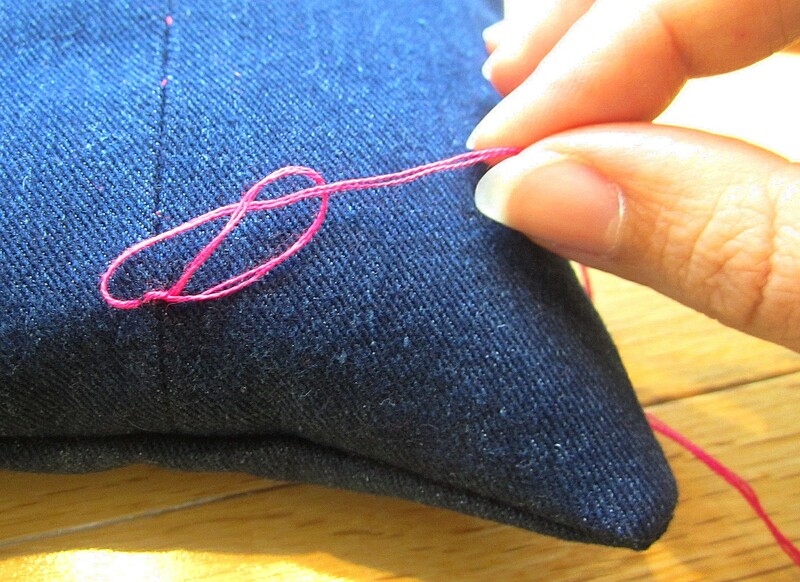 Pull the thread most of the way through, leaving a small loop still exposed. Pass the needle through the small loop. Take another tiny stitch across, pull the thread most of the way through again, pass the needle through the small loop again, and pull the thread tight one more time. 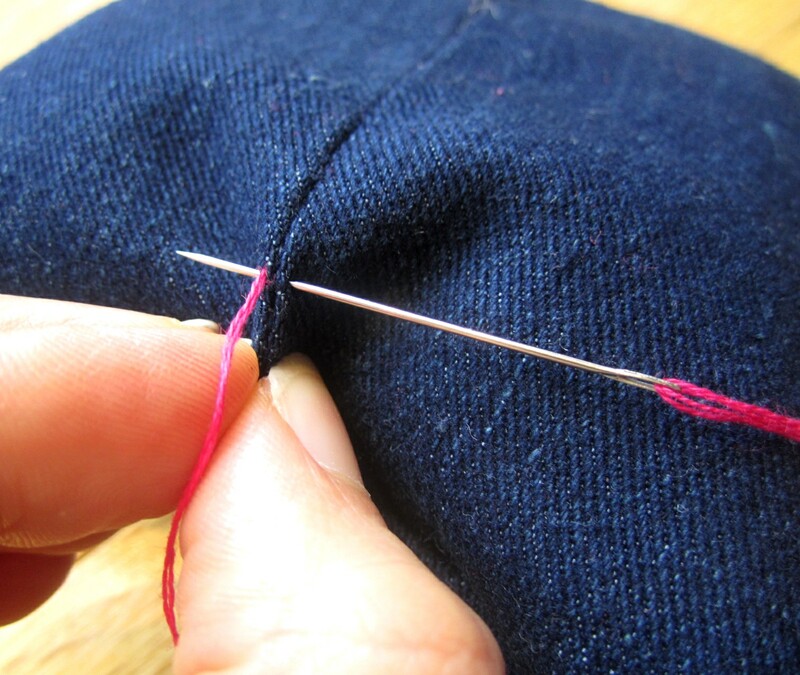 Trim the thread close to the knot. And there’s your ladder stitch!